Ticket prices for the opening of the 2018 Asian Games which will take place at the Main Stadium, Gelora Bung Karno, are considered expensive. However, the price of the previous two Asian Games opening tickets was much higher. 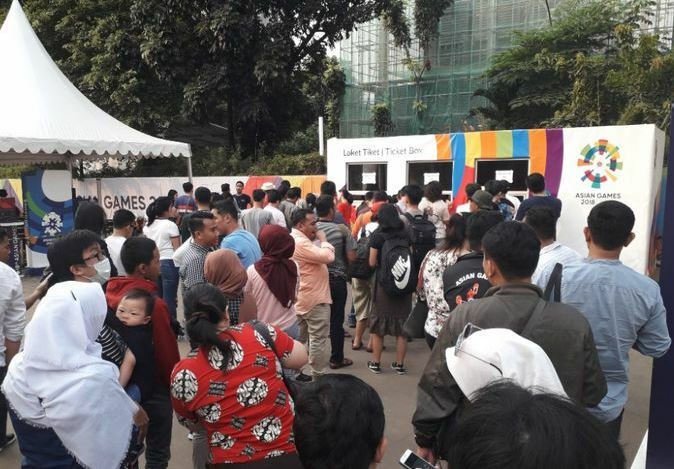 A number of Indonesians complain about the expensive ticket prices for opening Asian Games. Reporting from the website kiostix.com, tickets are sold in 3 categories, namely category C for IDR 750,000, category B IDR 1,500,000, and category A which reaches IDR 5,000,000. However, the price is still much cheaper compared to the price offered two countries host the previous Asian Games title, namely China (2010) and South Korea (2014). However, when compared to monthly income per individual, the price offered in Indonesia takes a greater percentage than the ticket price for opening the 2014 Asian Games in Incheon. Thus the results of the CupoNation study of the last three titles. Entering GBK Area Without Tickets 2018 Asian Games Must Pay Rp 30,000 Following the results of a complete study of CupoNation studies 2010 Asian Games Ticket prices for the opening of the 16th Asian Games in Guangzou, China, ranged between 1,600 Yuan or Rp. 3,379,088 to 6,800 Yuan or Rp. 14,361,124. Ticket prices for the opening of the 2010 Asian Games are the highest among the last three Asian Games. China's average per capita income in 2010 is 3,100 yuan per month. If you buy a ticket with the lowest price, the population of China will spend 51.6 percent of the total income per month if he watches the opening of the 2010 Asian Games. 2014 Asian Games At the Asian Games in Incheon, South Korea, the ticket price is priced at 100,000 Won or Rp. 1,155 .978 to 1,000,000 Won or Rp. 11,559,780. When compared with South Korea's per capita income at that time, ticket prices for opening the 2014 Asian Games were not expensive. In 2014, South Korea's per capita income was 32,548.7 US dollars (or around Rp. 385 million at that time). To buy the cheapest ticket for the opening of the 2014 Asian Games, South Koreans take 3.6 percent of their monthly income. Also read: This is the Cost of Watching the 2018 Asian Games at the 2018 Asian Games Palembang The opening ticket for the 2018 Asian Games offers the lowest price among the last three. For the lowest category, the price is priced at IDR 750,000. That amount will take 15.3 percent of the average monthly income of the Indonesian population. Based on BPS data, Indonesia's per capita income is Rp. 51.89 million or Rp. 4,324 million per month.